As games like PUBG and Fortnite take over gamer culture, how many hangers-on will start appearing and how quickly can they be made? If they’re anything like Radical Heights, does PUBG Corp really have anything to worry about, let alone sue over? Recently a developer by the name of Boss Key released a game on Steam called LawBreakers, which didn’t achieve the sales numbers they were hoping for. Hungry for cash, they promised their next project would definitely be a survival game in the vein of PUBG or Fortnite. And it would be released…..right now! Sega Saturn, eat your heart out! Its performance is shaky, and the waiting area is a mostly empty room with some bikes, halfpipes and a few other items to experiment with. You’re not dropped from a vehicle when a round begins; you just begin falling from the sky to the ground. There’s no parachute — you just hit the ground and roll. You can only play as a male character; there’s a big “coming soon” sign over the symbol for female characters. The water doesn’t work at the moment, so you just walk over it. The structures are mostly gray boxes. Animations feel jerky and unfinished. 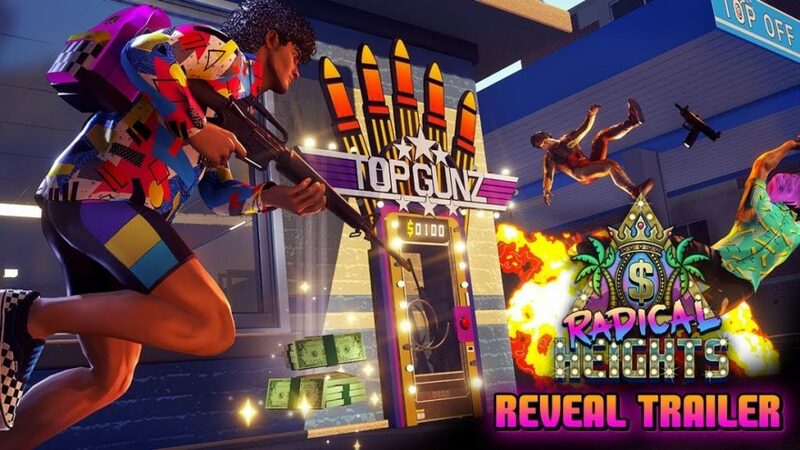 Putting Radical Heights out this early may have been a survival move for Boss Key, if sales of LawBreakers weren’t covering the cost to keep the lights on. But releasing what they imply is the future of their company in this kind of state leaves a horrible first impression that they may not be able to shake off, even if the game becomes much better later on (just ask the guys behind No Man’s Sky).